2. Go to Account > Insert Key in the menu. Click the 'test' button. If you get a green confirmation saying "The key is stored in your browser. Please proceed to login or submit a new key below," proceed to step 3. If you get a red error saying "The submitted key does not match any valid key in the system," locate the key letter sent to you by your Grand Body and (re-)enter the key and click 'insert'. If you cannot locate your key letter, or MORI doesn't give you a green confirmation when you enter it, contact your Grand Body to have a new key letter sent. NOTE: Your key is stored as a cookie in your web browser. If you change web browsers or change computers, you will need to enter your key again, so please retain your key letter. 3. Go to Account > Login in the menu. Enter your username, also found on your key letter, and your password, and click 'submit'. If your username and password are correct, you should now be logged in. If you get an error, you can recover access to MORI by clicking the 'forgot password?' link. 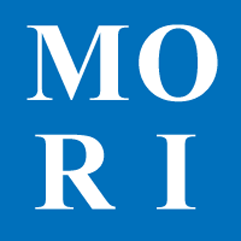 You will be sent an email to the email address MORI has for your member record, which will contain a link to let you reset your password. NOTE: Grand body office users having password issues should consult with a senior staff member with admin privileges to have their password reset.